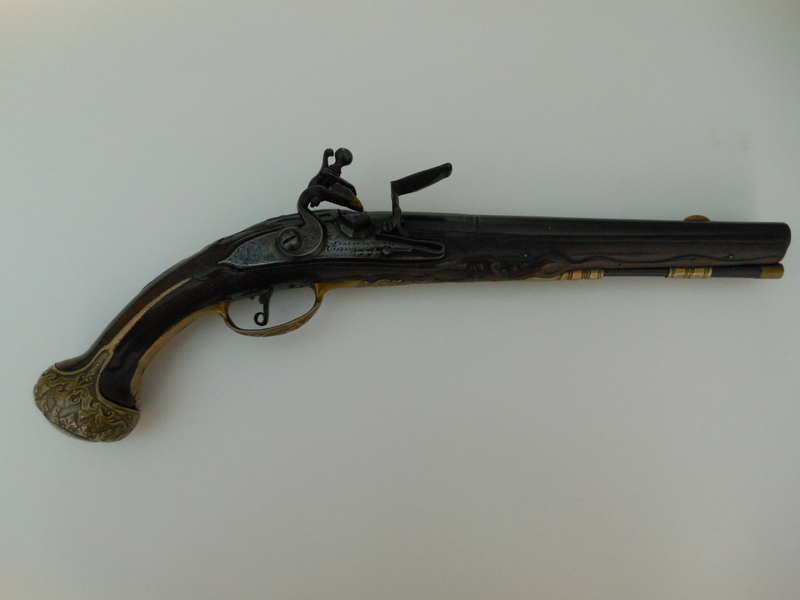 This is a beautifully carved flintlock pistol made by Gerrit Lasonder of Utrecht, Netherlands around the first half of the 18th century. It has a 10 1/8 inch round barrel of approximately 68 cal. 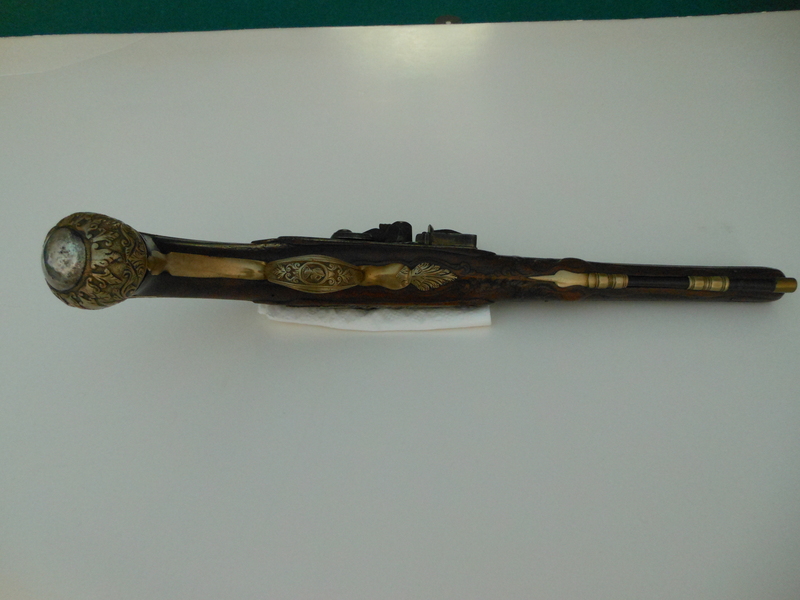 The pommel is silver and and the trigger guard has the profile of a man in the center. 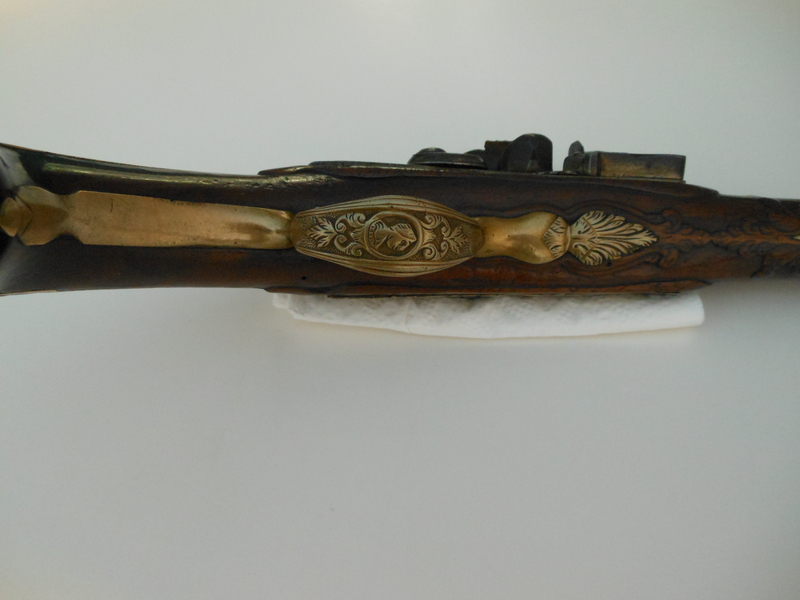 The pistol is all original in every detail and in great condition. 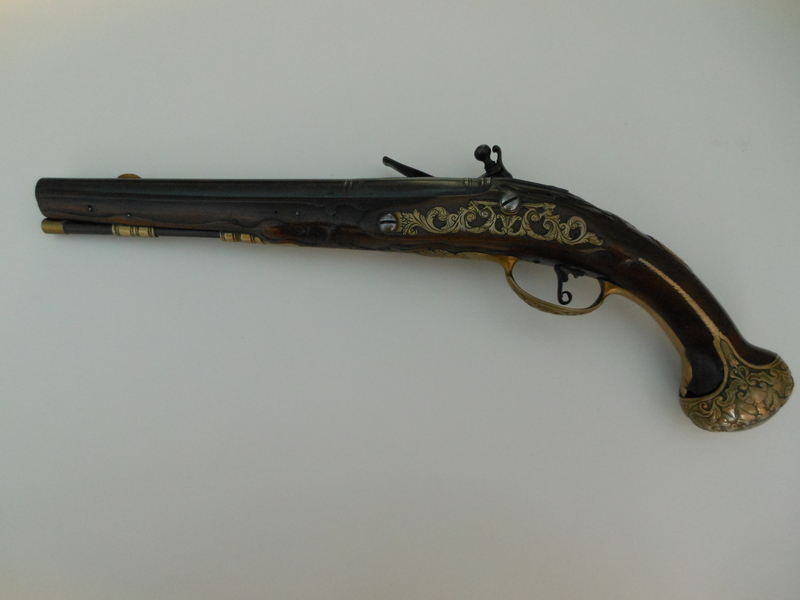 The Lasonder family of gun makers were very prominent in Utrecht from 1659 to 1762. Several of their pieces are on display in the local museum there. 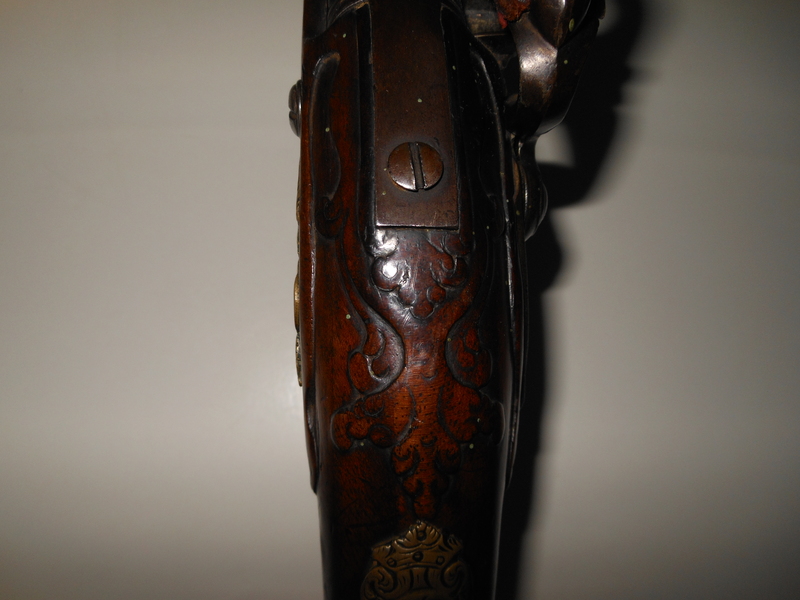 This entry was posted in Flintlock Pistols. Bookmark the permalink.